With spring right around the corner, preparations for the new growing season begin. During the winter the firm V. F. HUMULUS has started preparing new mother plants (in-vitro form) of Saaz semi-early red bine hop - Osvald's clones 31, 72 and 114, of own variety Saaz Special and of the Cascade variety in its laboratories. These materials are now being transported to the green houses of the Cinke company, where the new virus-free plants are propagated. These plants will be transplanted after sufficient rooting in plastic containers with a sterile substrate and are grown as potted hop rootstocks or planted on fields, grown and prepared for the autumn distribution as rootstocks. 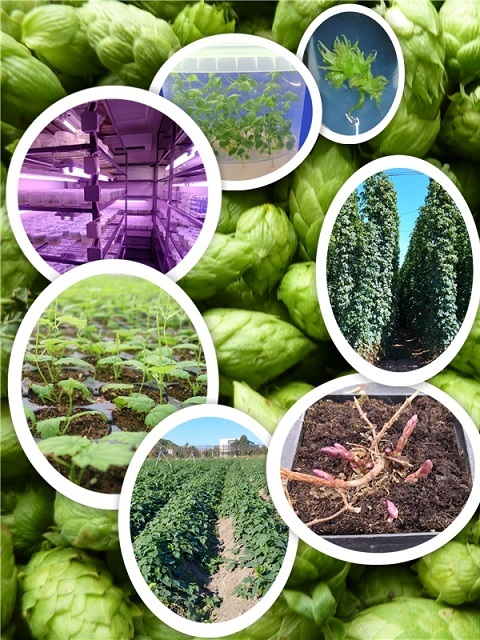 Whole the breeding process is controlled by the CISTA Brno and meets the certification scheme for the production of hop seedlings, including the inspection and recognition of breeding growths.